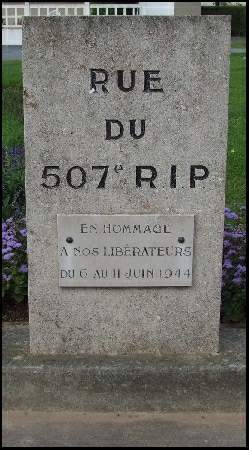 In my previous article, I revealed that it is now known that one member of the crew of that Lancaster Z-NH, serial number NE150, brought down by anti-aircraft fire over Lison, did not perish, but survived the crash, only to be then killed, proudly fighting alongside the 507th Parachute Infantry Regiment at Graignes. For many years the tale had been told that the mystery aviator was an American fighter pilot who had been shot down, but in recent times, around 2008, the real truth has come to light. The mystery flyer was Flight Sergeant Stanley Kevin Black of the Royal Australian Air Force. “For sixty years his family had thought he died on D-Day in a relatively straight forward situation when his plane was shot down over occupied France by enemy fire. “We knew that he had been in a crashed plane and we always thought that he died there and then,” his great niece Elissa Liggins said. But Sergeant Black survived the crash, and was taken in by a brave French family for the night. “Aided by the villagers, the paratroopers and Sergeant Black set up a perimeter around Graignes. After a couple of days, the Germans attacked. The allies successfully fought them off the first time but the Germans successfully attacked again. The S.S. then executed many of the survivors. It is not clear exactly how Sergeant Stanley Black died but he was probably killed on June 11th. He was just 21 years old. The little village never forgot their “Australian hero”. Decades later an English lady who lives in the village, Liane Ward-Cleaveley, felt frustrated his name was not on the plaque commemorating the battle. She contacted a Lancaster enthusiast in Australia, Graeme Roberts, who tracked down Sgt Black’s relatives. “We got a phone call from a gentleman called Graeme who had read a message from an English lady living in France,” Ms Liggins recalled. Accompanied by members of the RAAF, Ms Liggins flew to France for the unveiling of her great uncle’s name on the village plaque. “I don’t think any of us appreciated how big it was going to be for the family – certainly not for me – it’s quite life changing,” she said. Flight Lieutenant Mark Schmidt describes it as “an amazing experience”. 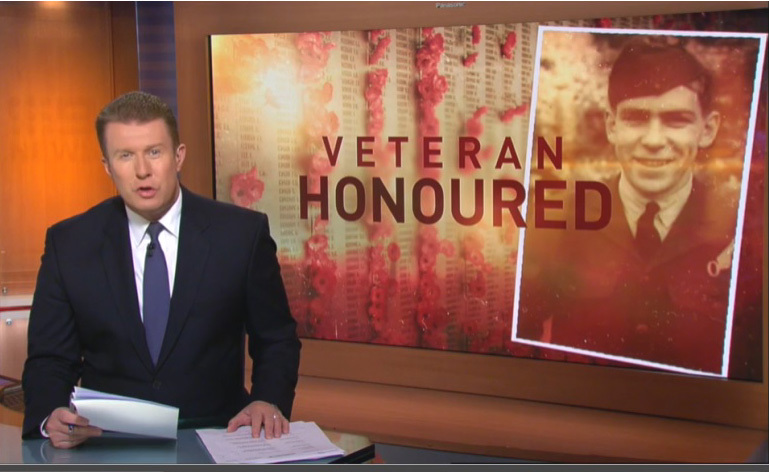 “It’s an incredible story and then to go to the village and connect with the villagers there… he’s a hero to those guys they call him ‘the Australian who fell from the sky’,” he said. Every single evening at the Australian War Memorial in Canberra, a single Australian who died for his country is honoured. And recently, Sergeant Stanley Black was the chosen hero. “I sort of feel like I have a connection with him now, that just wasn’t there before, and I know his story intimately… it’s pretty powerful stuff,” she said. A powerful story, to share with generations to come. And what a story. The forces of darkest evil opposed by brave, brave men, women and children. French villagers, French children, American paratroopers, British flyers and one very, very brave and determined Australian. Here is a film of Graignes today. The church has been left exactly as the cowards of the 17th SS Panzergrenadier Division left it. There is another excellent film on the Channel 9 News site. It is well worth watching. If you are feeling brave, then try this website. It has a picture of Madame Marthe His, one of the only surviving witnesses of this Nazi war crime. 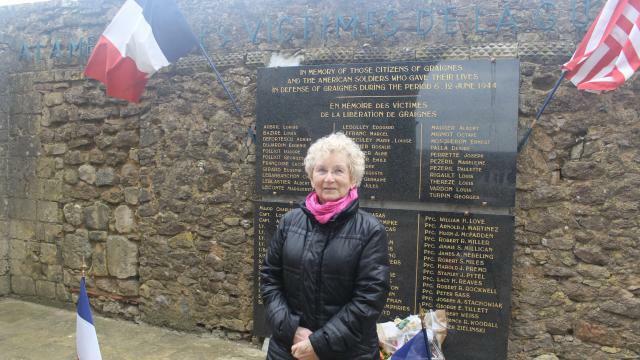 She watched what the SS did when she was only 12, and now, 73 years later, and a very young looking 83, she is determined that it should not be forgotten. In a video lower down the page, she tells her story in French where, at the least, you should be able to recognise a few words. “À 12 ans, Marthe His a vu soldats américains et civils se faire massacrer par les Allemands à Graignes. 71 ans plus tard, elle est revenue pour témoigner. Derrière ses petites lunettes rondes, les yeux bleus de Marthe His ont gardé toute leur vigueur. Au moment de témoigner, hier après-midi au mémorial de Graignes (Manche), un voile de tristesse a peut-être atténué leur éclat pendant quelques minutes. C’est tout en pudeur que ce petit bout de femme, âgée de 83 ans, a revécu en souvenir les massacres de Graignes en juin 1944. Des 200 Américains qui débarquent dans la maison familiale, au sauvetage de 23 soldats. Elle replonge dans cette histoire tragique du débarquement dans la Manche. Stanley Black didn’t need to do what he did. And it would probably cost him his life. But he did it nevertheless. He was a true hero. 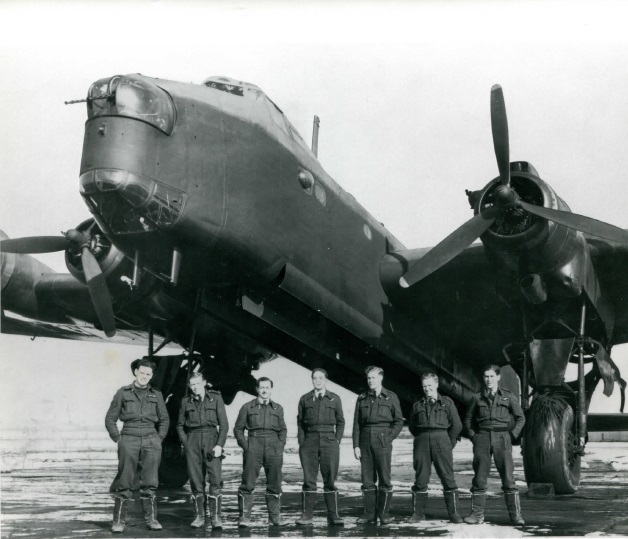 I wrote a previous article about an Avro Lancaster Mark III bomber which took off from Metheringham, in Lincolnshire, ten miles south east of Lincoln, at twenty five minutes past midnight on June 7th 1944. Its squadron letters were Z-NH and its serial number was NE150. 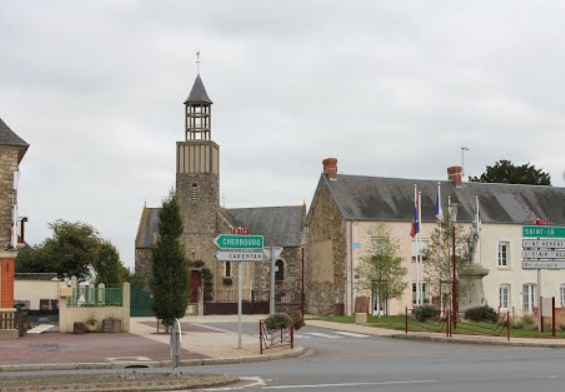 Operating in the direct aftermath of D-Day the crew were tasked with bombing Coutances, a beautiful little town just south west of Caen in Normandy, in an effort to disrupt the German transportation of troops. Unfortunately, the aircraft was one of two hit by heavy anti-aircraft fire over Lison, and it crashed near the village of St Jean de Daye. All of the crew were killed except two. This is the second article of the two, and tells the extraordinary story of Flight Sergeant Stanley Kevin Black of the Royal Australian Air Force. He was the bomb aimer, only 21 years of age and the beloved son of George and Lillian Eliza Black, of North Fitzroy, Victoria, Australia. 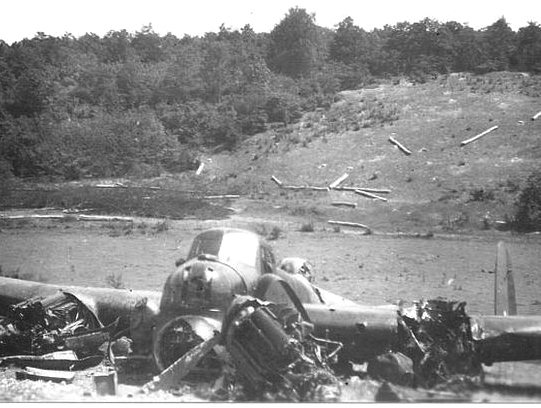 On June 7th 1944, Stanley survived the crash, and, in fact, was virtually unscathed. He soon met some American gentlemen, however, and then a very dark and grim tale indeed began to unfold. At daybreak, the village mayor of Graignes, Monsieur Alphonse Voydie, woke up and suddenly noticed that the grass field behind his house was absolutely full of American soldiers. As Mayor, he called an immediate emergency meeting of everybody in the town. The brave townspeople decided unanimously to feed the American soldiers, despite the very real risk that the Germans would shoot them all, both villagers and soldiers. Under the forceful command of Madame Germaine Boursier, all the women of the village began cooking around the clock to serve the Americans with at least two hot meals every day. At the same time, teams of villagers, men, women and children, began filling any wheeled vehicle with lost American equipment and then bringing it back to its rightful owners. Militarily, though, the situation was hopeless. 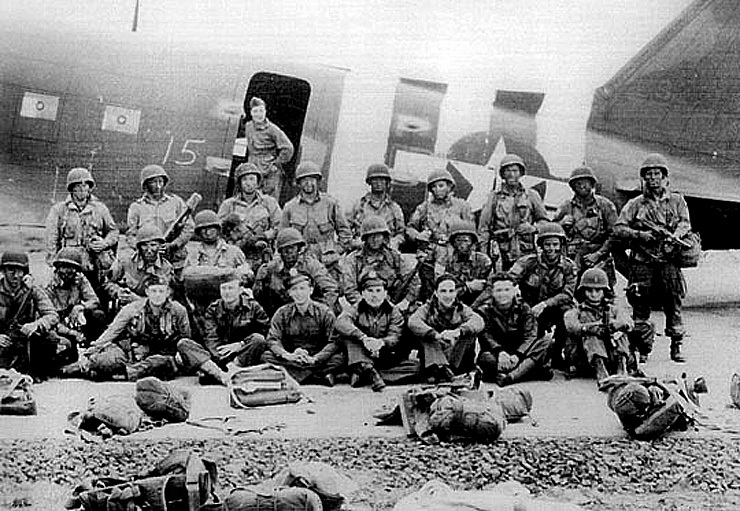 The 507th Parachute Infantry Regiment and the brave, helpful French villagers were completely surrounded by German troops including, among others, the 17th SS Panzergrenadier Division Götz von Berlichingen under the command of SS-Standartenführer Otto Binge. 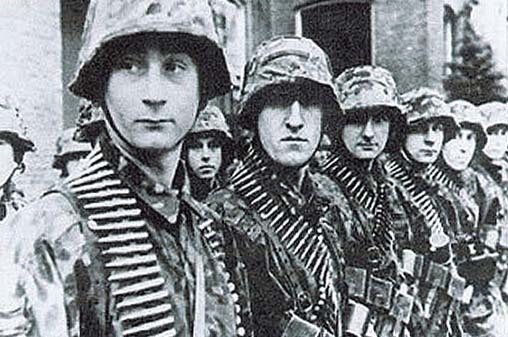 In view of what was about to happen, the fact that these Nazi troops were from the 17th SS Panzergrenadiers was supremely ironic. 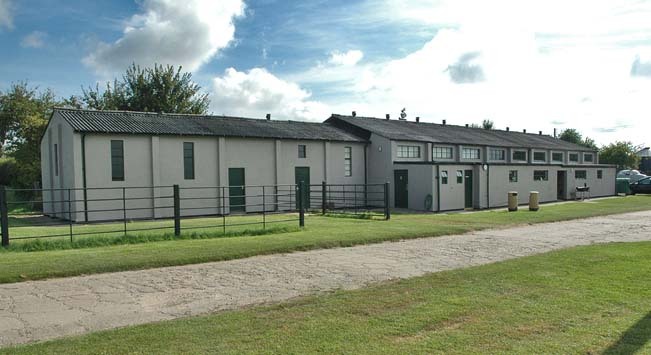 The unit had been raised near Poitiers in south-central France in October 1943. It consisted mainly of conscripts, many of whom were Rumanian Germans with a good number of French Fascist volunteers. The Americans had, by this point, claimed perhaps five or six hundred dead Germans, with the roughly the same number wounded. “The 17th SS stormed the church and found Captain Sophian’s medical aid station. They forced the Captain and all of the wounded outside against a wall. The men were divided into two groups and marched away. One group was marched down to the edge of a shallow pond behind Madame Boursier’s café. At the edge of the pond, the SS bayoneted the wounded men and threw them into the water one on top of the other. 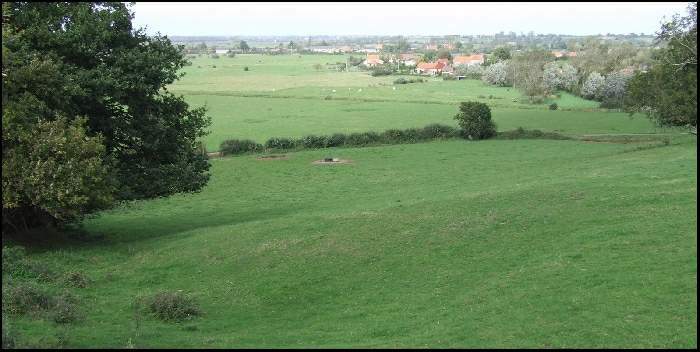 The other group of 507th paratroopers was forced to march to a field near the village of Le Mesnil Angot. There, the nine wounded men were forced to dig a pit. As soon as the pit was complete, the SS shot each one of them in the back of the head and dumped their bodies in the pit one on top of the other. Other Germans began a round-up of the French civilians. The SS men knew that the church’s belfry had been used as an observation point to direct mortar fire accurately onto their attacking troops. The SS soldiers therefore burst into the church rectory, dragged Father Leblastier and Father Lebarbanchon into the courtyard and shot them both to death. They then discovered Madeleine Pezeril and eighty-year-old Eugenie DuJardin. Overwhelmed with fear, the two old ladies had been cowering in their quarters ever since the end of the battle. The Germans shot and killed both women in their beds. Meanwhile, forty-four villagers had been rounded up and were being interrogated. They were threatened with immediate execution if they did not divulge the names of any villagers who had actively assisted the Americans. Not a single one of the villagers turned in a single name. And none of them revealed either the role that Alphonse Voydie had played in the Graignes drama. Had the Germans known what Voydie had done, they would most certainly have executed him too. 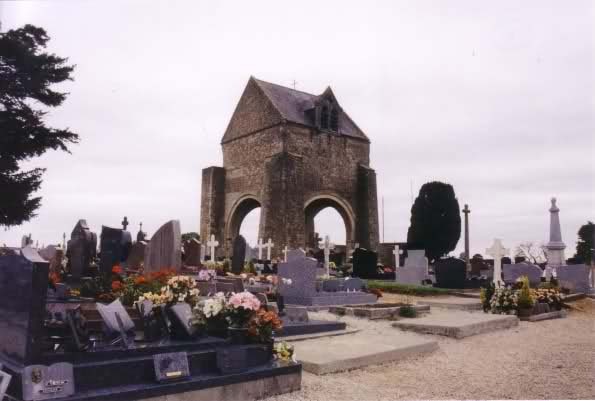 On July 6th 1986, a ceremony was held in the ruins of the church at Graignes during which eleven villagers were presented with the Award for Distinguished Civilian Service for their role in assisting the men of 3rd Battalion/507th. Six of those awards were posthumous. Only one member of the SS was punished in any way for this incident, the rather unlucky Erwin Wilhelm Konrad Schienkiewitz who went to prison for life. If you look at the Wikipedia entry for 17th SS Panzergrenadiers, there is a shortish list of the war crimes for which some of them received prison sentences. For the most part, they were to do with killing concentration camp prisoners, but they also executed the Mayor of a German town who wanted to surrender to the Allies and avoid unnecessary deaths. And they murdered a Jewish dentist. What bravery from the élite troops of the Master Race. Like so many members of the Waffen SS, however, their commander, SS-Standartenführer Otto Binge, lived out a full life and died peacefully in a warm bed on June 18th 1982. And why am I telling this great long-winded tale, other than the fact that it deserves to be told anyway? 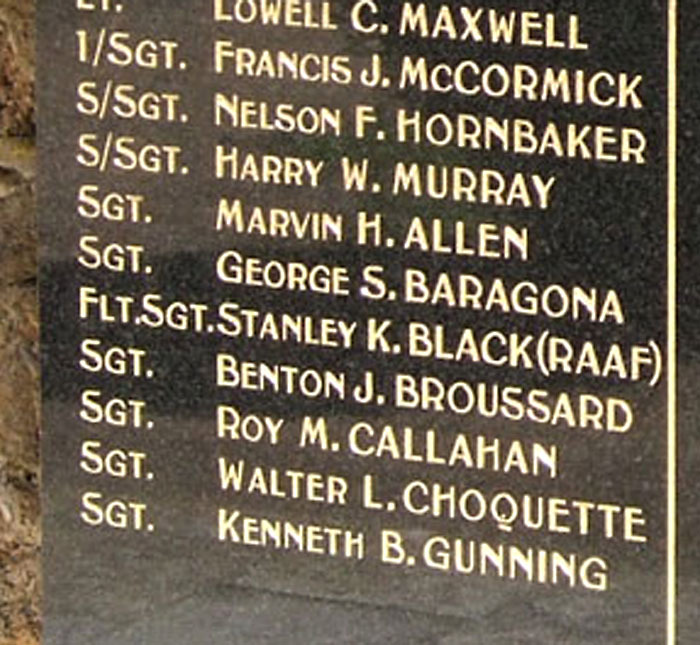 Well, because it is now known that one member of that crew of the 106 Squadron Lancaster Z-NH, serial number NE150, was killed proudly fighting alongside the 507th Parachute Infantry Regiment at Graignes. For many years, the tale had been told that there was an American fighter pilot involved in the fighting, but only in recent times, around 2008, has the real truth come to light. The mystery fighter pilot was none other than Flight Sergeant Stanley Kevin Black, bomb aimer of the Royal Australian Air Force. I will bring this tale to a conclusion in the near future. 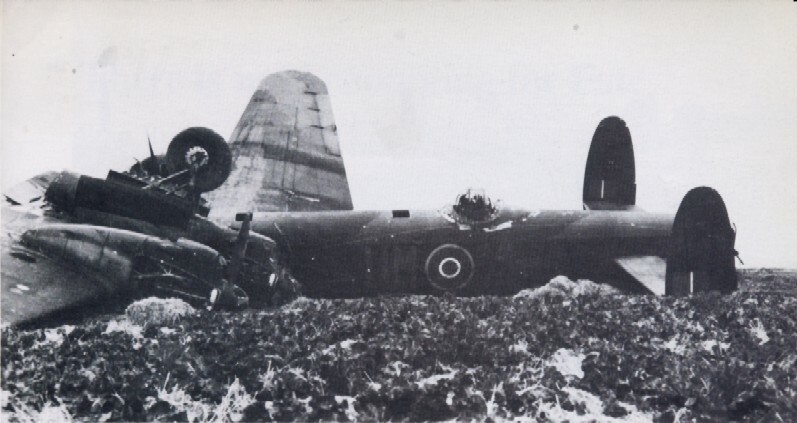 To end with, let me repeat that none of these three articles about the Avro Lancaster III from Metheringham, Z-NH, NE150, shot down on June 7th 1944, could have been written without recourse to the websites and forums which I have indicated. 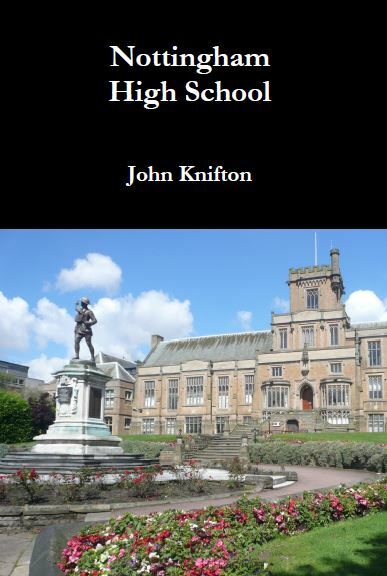 I just hope that what I have written, tales which deserve to be heard, will reach another audience by my re-telling them. I have written two previous articles about an Avro Lancaster Mark III bomber which took off from Metheringham, in Lincolnshire, ten miles south east of Lincoln at twenty five minutes past midnight on June 7th 1944. Its squadron letters were Z-NH and its serial number was NE150. 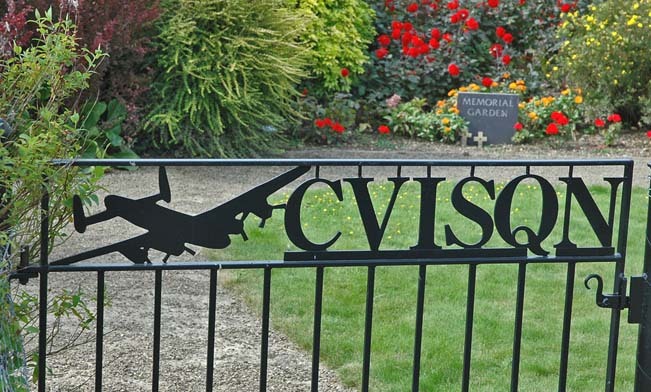 Unfortunately, the aircraft was hit by heavy anti-aircraft fire over Lison, a town near Coutances, and it crashed near the village of St Jean de Daye. All of the crew were killed except two. I found John’s story on a forum, one of what must be hundreds devoted to the aircraft of the RAF in the Second World War. “When the aircraft crashed, five members of the crew were either unconscious or dead. He buried his parachute and hid in the deep bushes of Normandy for two or three days, he did not know how long. Driven by hunger, he knocked on the door of a farm near the village of Saint-Fromond. The owner of the farm was Arthur Michel who carefully checked John’s proof of identity with the local French Résistance. At this time, it was only too easy for German agents to pose, for example, as British soldiers, or downed flyers, in order to penetrate the Résistance network. Brave Monsieur Michel kept John at his farm, pretending, as the Scot could speak no French whatsoever, that he was a deaf and dumb farm worker. All of the crew members from NE150 were initially reported as missing in action. His family, and especially his young fiancée, Margaret, were devastated. She was working at Stirling Castle as a radio operator for the Army. In actual fact, John was already on his way back home. 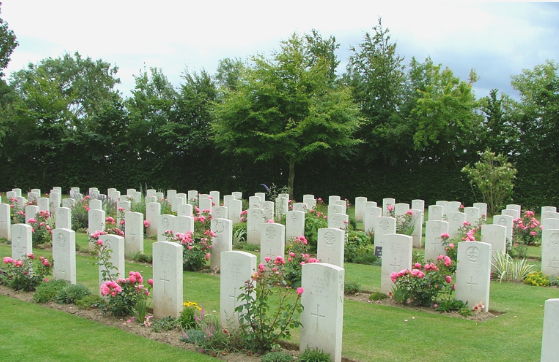 Arthur Michel continued his heroism by driving John to Bayeux. Again, the Germans had only one penalty for people caught helping Allies soldiers, and that was death. After that, the equally brave men and women of the Résistance network continued the process, and Flying Officer Drylie was back in Britain by July 19th 1944. In the late 1940s, Farmer Michel took a wife and she was able, in the era of rationing and postwar shortages, to wear a silk wedding dress made from the material of John Drylie’s parachute. Arthur Michel and his lucky wife had just one daughter who was the village teacher at Saint-Fromond all her working life. 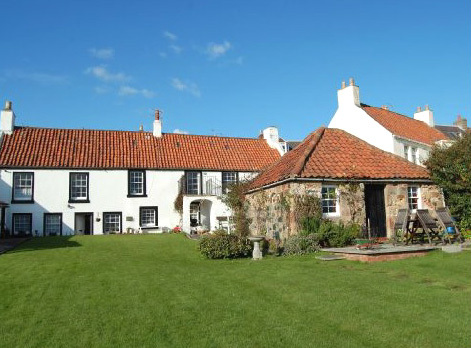 At the moment, she lives in the family farm, which has been converted into a Bed and Breakfast establishment. 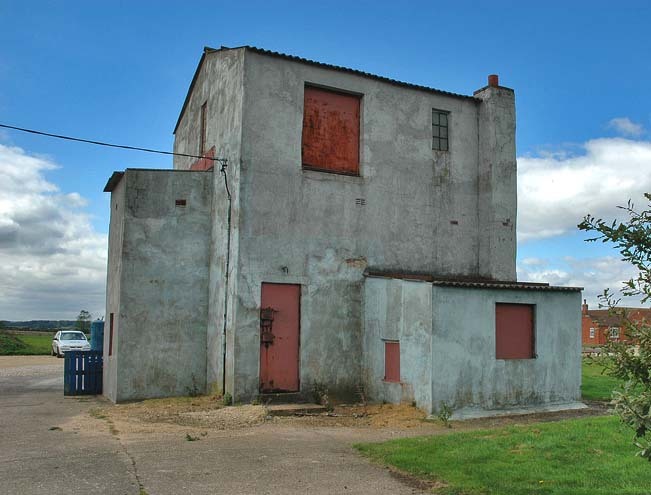 During the 1950s, the Drylie family would visit their French friends and their son Peter, would play around the wrecked fuselage of the Lancaster bomber which remained virtually untouched in a field near the village for many, many years. John Drylie seems to have been very greatly affected by the events of June 7th 1944. He hardly ever spoke about what had happened to him in that doomed Lancaster. He never wore his wartime medals. He never attended any official ceremonies connected with that terrible night. He was buried in the local churchyard with his wife Margaret and his son Peter. Personally, I would posit that John Drylie, who hardly ever spoke about what had happened, never wore his wartime medals and never attended any official ceremonies, was a classic sufferer from Survivor Guilt. Of the three cricketers behind young Frank Corner, the one on the extreme right is George Brown. Playing for the School cricket team, George was a real asset with his “devastating fast in-swinging yorker on the leg stump”. On a forgotten Saturday in July 1944, however, now Lieutenant Brown, he was killed in action during the aftermath of the D-Day landings. He was just 24 years of age. Lieutenant Brown was in the 2nd Battalion of the Lincolnshire Regiment (3rd Infantry Division) and on that day, the blast of an exploding German mortar shell was even more devastating than his “devastating fast in-swinging yorker on the leg stump”. 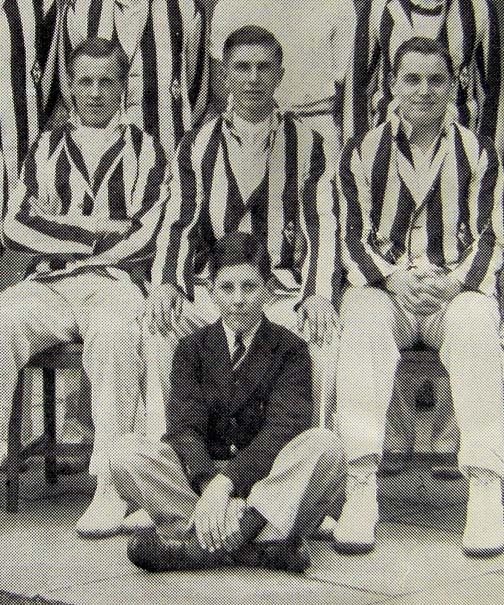 Young Frank Corner, though, left the High School and its cricket team, on the faintly ominous date of July 31st 1939. 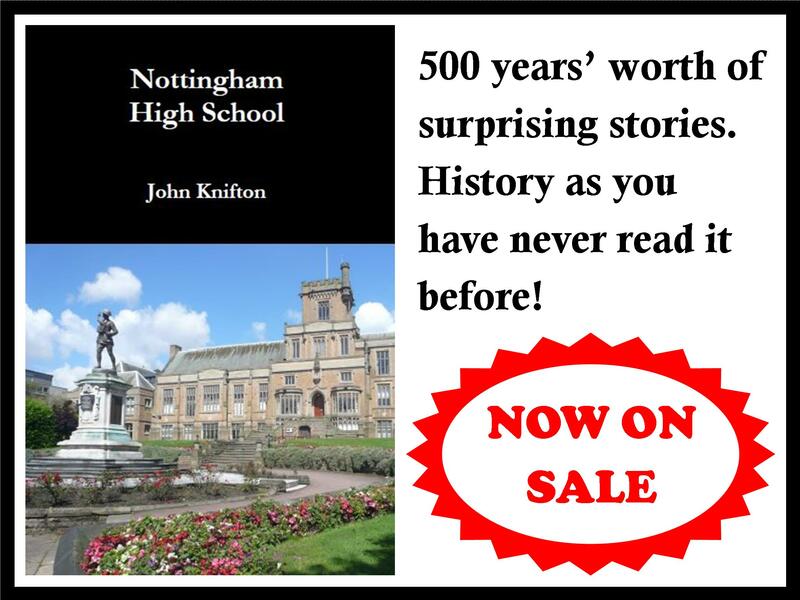 First of all, he worked briefly for the Notts War Agricultural Committee. Around this time, he had also played rugby for the Old Nottinghamians’ Wartime XV. Frank, though, like so many hundreds of thousands of other young men, was soon to feel the “Call of the Skies”. He joined the Royal Air Force Volunteer Reserve and was soon promoted to be Flight Sergeant Corner. Frank was the Flight Engineer in an Avro Lancaster Mark III. Its squadron letters were Z-NH and its serial number was NE150. Operating in the direct aftermath of D-Day the bomber took off from Metheringham at twenty five minutes past midnight on June 7th 1944. 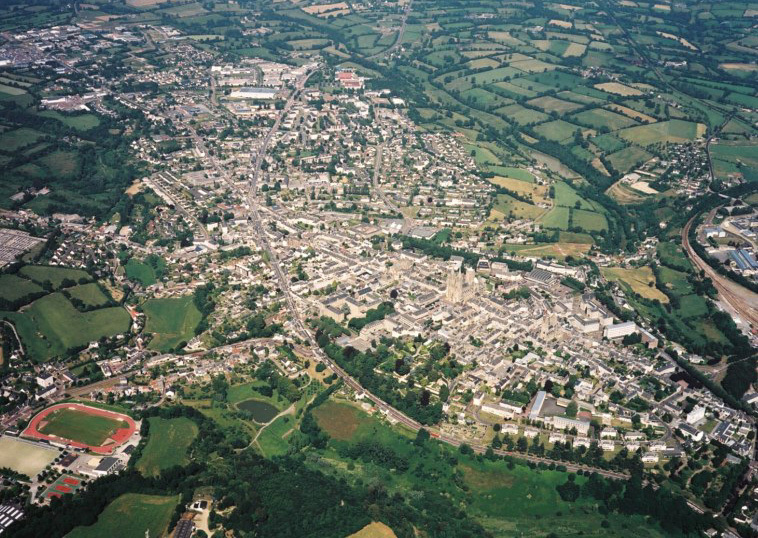 It was tasked with bombing Coutances, a beautiful little town just south west of Caen in Normandy. “there was a total of 1,065 aircraft, made up of 589 Lancasters, 418 Halifaxes, and 58 Mosquitos. They were to bomb the lines of communication behind the D-Day battle area. All of the targets were in or near French towns. 3,488 tons of bombs were dropped on targets at Achères, Argentan, Caen, Châteaudun, Conde sur Noireau, Coutances, St Lô, Lisieux and Vire. Every effort was made to bomb accurately but casualties to the French civilians were inevitable. Cloud affected the accuracy of the bombing at many of the targets and, at Achères, the Master Bomber ordered the raid to be abandoned because of cloud and no bombs were dropped. 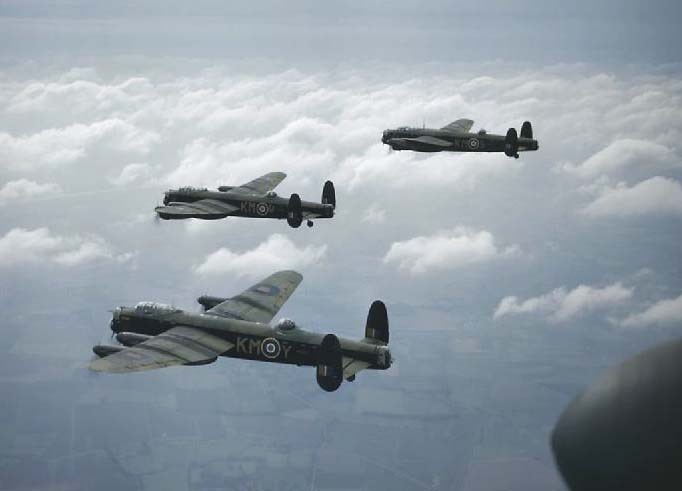 10 Lancasters and 1 Halifax were lost in these raids; 6 of the Lancasters were lost in the No 5 Group raid at Caen, where the main force of bombers had to wait for the target to be properly marked and then fly over an area full of German units and guns at bombing heights below 3,000ft. Some details are available of the effects of the bombing. 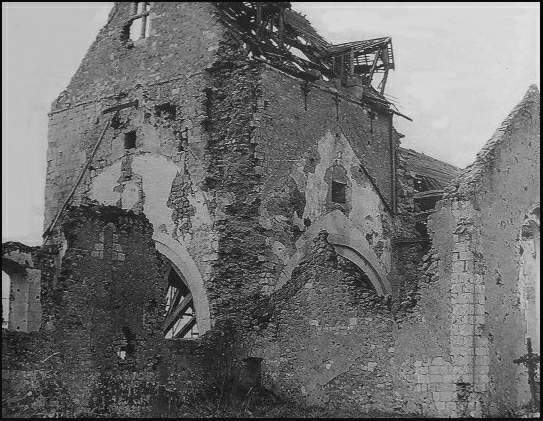 At Argentan, Châteaudun and Lisieux, much damage was done to railways, although the towns, Lisieux in particular, were hit by many bombs. Important bridges at Coutances were badly damaged and the town centres of Caen, Condé sur Noireau, St-Lô and Vire were all badly bombed and most of the roads through those towns were blocked. ….19 aircraft were minelaying in the Brest area, and 26 aircraft on Resistance operations. No aircraft lost. On June 11th 1944, the Wing Commander of 106 Squadron actually sent a report to the Air Ministry, explaining that the crew of Z-NH had been told to bomb bridges in Caen. This is thought possibly to explain why the aircraft finally came down near St Jean de Daye. 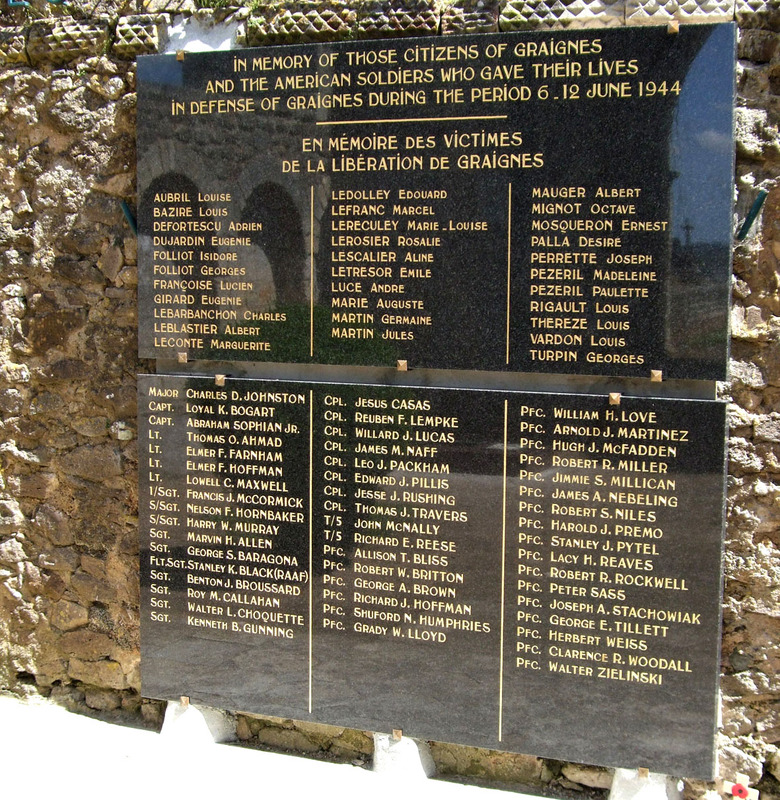 They had been hit by anti-aircraft fire over Lison, where a worker at the railway yard remembers how the German gunners celebrated the fact that they had shot down a bomber. Frank was just twenty one years old when he died. His service number was 222039 and his parents were Captain Leonard Leslie Corner and Florence Edna Corner, of Whiston, Yorkshire.